Republic TV founder Arnab Goswami is a known war-monger and being perceived as the mouthpiece of the BJP, he’s believed to wield a considerable clout on the foreign and defence policy of the Centre’s Narendra Modi government. The co-founder of Republic TV is BJP’s Rajya Sabha MP Rajeev Chandrasekhar, who is also a member of the Indian parliament’s Standing Committee on Defence. According to popular belief, the Modi government decided to launch the aerial strikes because Goswami had managed to provoke the prime minister enough for the transgression of the LoC. It’s not surprising, why Goswami is facing public ire in light of the Pakistani response and the capture of an officer of the Indian Air Force. A day after the Indian Air Force entered deep into Pakistani territory to carry out the aerial strikes in Balakot, the Pakistani Air Force responded by breaching the Indian airspace on Wednesday. They claimed to shoot down two Indian fighter jets, although the Indian government confirmed the downing of only one MiG 21. The reason for the crash of Mi 17 military helicopter in Jammu and Kashmir’s Budgam was not known. Three officers of the Indian Air Force were killed including Squadron Leaders Vashishth and Ninad. But the most devastating news for India came after Pakistan claimed to capture Wing Commander Abhinandan Varthaman after downing MiG 21 fighter jet. Moments later TV channels in Pakistan began to show the video of the Indian Air Force officer being paraded by the Pakistani military. This sent shockwaves in India and evoked considerable anger from the Indian government and members of the civil society, who felt that Pakistan had violated the Geneva Convention’s principles on the treatment of prisoners of war. His call for war and other theatrics came just hours after the BJP had astonishingly posted an insensitive tweet promoting Modi’s planned election webcast for Thursday. While the saffron party faced widespread condemnation for its hypocrisy on nationalism, Goswami’s silence on the topic left many seething. Angry over his hypocrisy, many Indian social media users urged Pakistan to accept Arnab Goswami in exchange of Wing Commander Abhinandan. 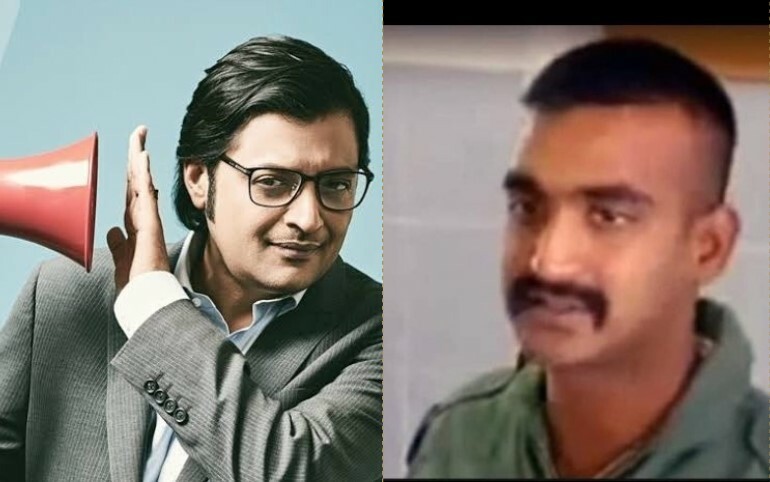 Can we exchange Commander Abhinandan with Arnab Goswami? Many felt that with hysteria caused by the likes of Goswami, India’s attempts to bring back Wing Commander Abhinandan will become that much difficult. Patriotic Employers are requested to spare the services to rescue Wg Cdr Abhinandan Varthaman for a #SpecialCommandoVerbalForce comprising (in alphabetical order) Arnab Goswami, Gaurav Sawant, Navika Kumar, Rahul Kanwal, Rahul Shivshankar. Those in favour please retweet. In the last video, released by Pakistan, Wing Commander Abhinandan was seen safe as he enjoyed tea.